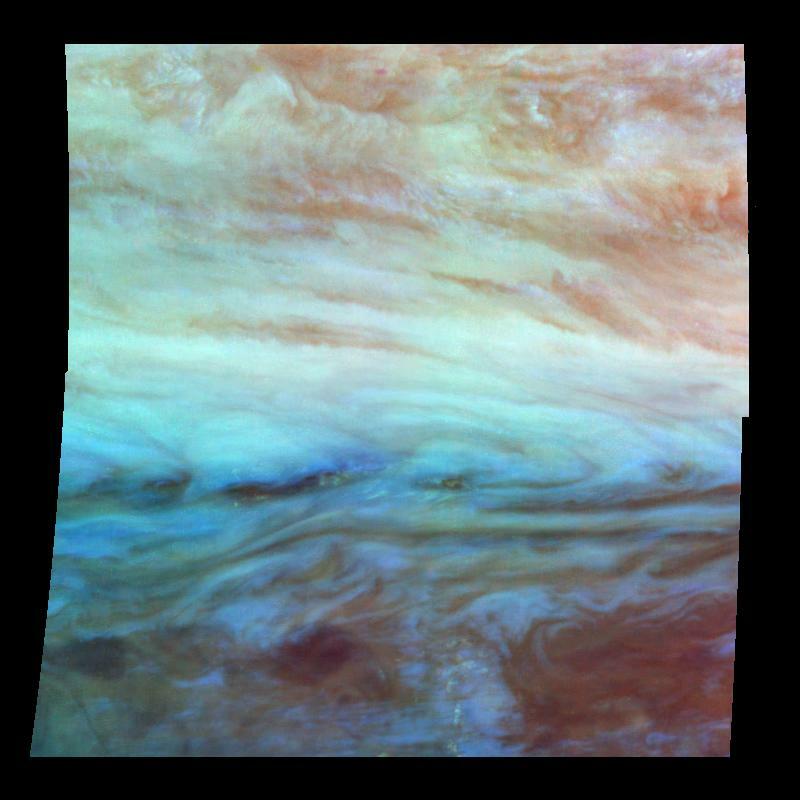 False-color mosaic of a belt-zone boundary near Jupiter's equator. The images that make up the four quadrants of this mosaic were taken within a few minutes of each other. Light at each of Galileo's three near-infrared wavelengths is displayed here mapped to the visible colors red, green, and blue. Light at 886 nanometers, strongly absorbed by atmospheric methane and scattered from clouds high in the atmosphere, is shown in red. Light at 732 nanometers, moderately absorbed by atmospheric methane, is shown in green. 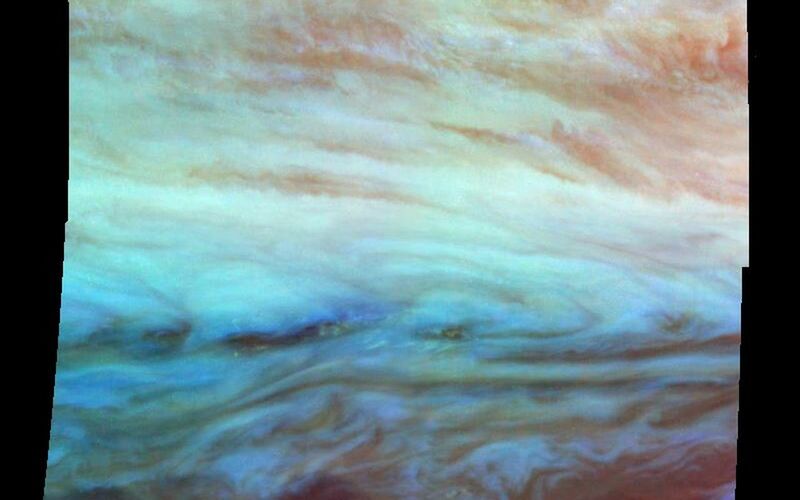 Light at 757 nanometers, scattered mostly from Jupiter's lower visible cloud deck, is shown in blue. 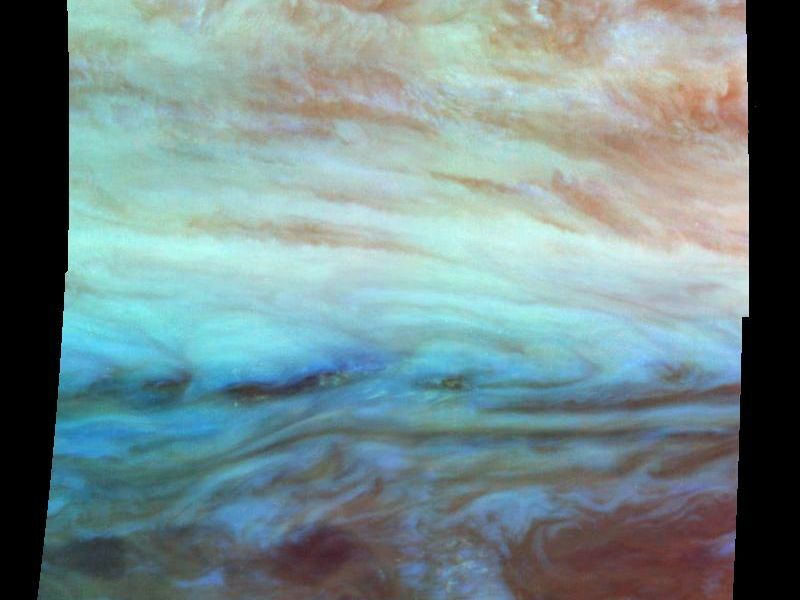 The lower cloud deck appears bluish white, while the higher layer appears pinkish. The holes in the upper layer and their relationships to features in the lower cloud deck can be studied in the lower half of the mosaic. 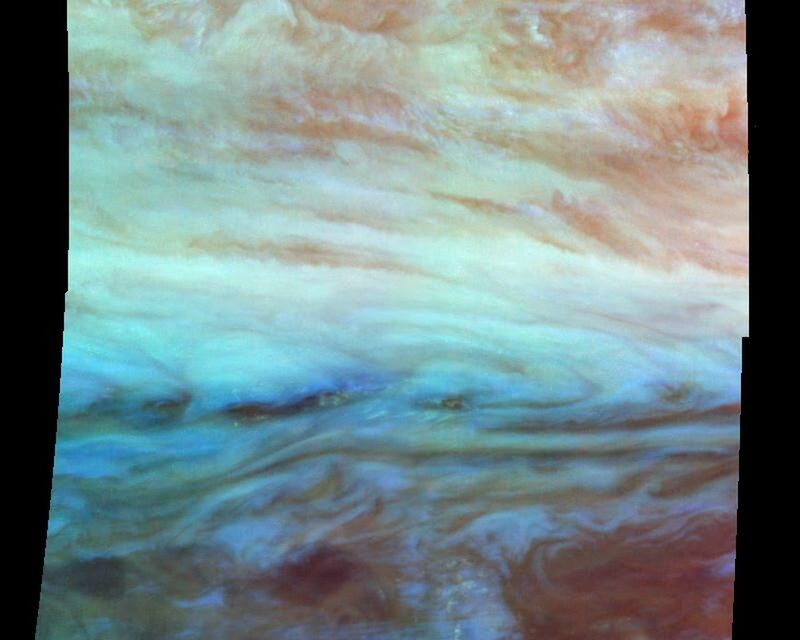 Galileo is the first spacecraft to image different layers in Jupiter's atmosphere.